Meet our representative at the hotel and then board a clean vehicle which takes you on a full day exploration of Uplistsikhe and Gori. 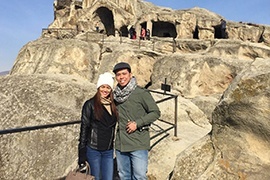 A cave town, Uplistsikhe will blow you away with its centuries-old history and ancient structures wondrously cut into the rock. At Gori, you’ll visit Joseph Stalin Museum – an expansive museum complex with more than 40000 displays that reveal the life of the Georgian-Soviet politician - Joseph Vissarionovich Stalin. You’ll be dropped back to the hotel once the tour ends. Be ready at your hotel as our representative will arrive on time to pick you up and kick off the tour. We’ll straight drive you to Borjomi, renowned for its mineral springs with curative elements. Visit the Mineral Water Park to absorb the breathtaking surroundings and of course, relish the water first-hand from its source. This is followed by a drive up to 12th century town of Vardzia, where you can explore the ancient cave dwellings, churches, and other remnants like elegant fresco paintings. 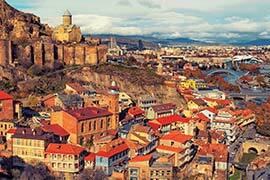 Return transfer to your lodging in Tbilisi is included. Discover the full length of Georgia’s untouched natural beauty, captivating wine history, and enigmatic ancient attractions in full eight nights! 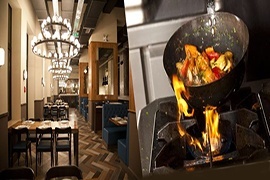 Our exclusive Long Break Georgia not only features the major Georgian sights and experiences, but also ensures that all your accommodation, organized sightseeing, and airport transfers are well dealt with. An elegant city tour unfolds before you a string of Tbilisi’s old and new sights, from the glorious Tsminda Sameba (Holy Trinity Cathedral) to the iconic Vakhtang Gorgasali’s Monument and Metekhi Church to Narikala Fortress, Anchiskhati Basilica, and Sioni Cathedral. Also, enjoy some great day trips during your extended stay. Learn the astounding history behind the world-famous Georgian wines on a wine tasting trip to Kakheti which further reveals the region’s laid-back beauty and serenity. 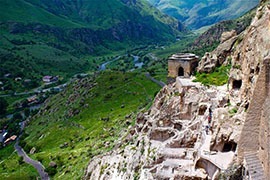 Alternatively, Gori Uplistsikhe Tour will walk you through the Caucasus’ region’s oldest urban settlement - Uplistsikhe, besides leading you to Gori - the birth place of Joseph Vissarionovich Stalin. These apart, you’ll spend a full day exploring the captivating sights and attractions that dot Borjomi and Vardzia regions, along with the unique chance to relish the pure Borjomi mineral water. 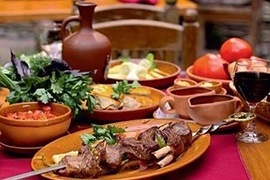 Your seamless holiday also has in store for you some distinct gastronomic experiences by way of Dinner in Funicular Restaurant Tbilisi and Dining with Traditional Entertainment at a local eatery. The best thing about your Long Break is that it offers an ideal balance between guided activities and independent experiences, giving you ample free time to explore the region on your own as well. My family was so happy with this tour package...juts amazing!! I and my family spent 9 days and 8 nights in Georgia, and it was one of the best moments of our lives. We were booked into a really luxurious hotel, and we really enjoyed being pampered. Apart from that, we also enjoyed the various day trips that were included in the tour package. Thank you Rayna Tours for curating this tour for our family holiday. We had such a good time that we will never forget Georgia or this holiday! It had been years since I had a taken a break from work and gone on a holiday. Georgia seemed to be a gorgeous place for a vacation, and I booked this tour package by Rayna for me and my family. The 9 days we spent there were absolutely marvellous. We enjoyed sightseeing in the city, wine tasting at the wine tour, viewing the natural springs at Borjomi Vardzia and tasting the delicious Georgian cuisine. The tour was well planned and we returned happy and rejuvenated.